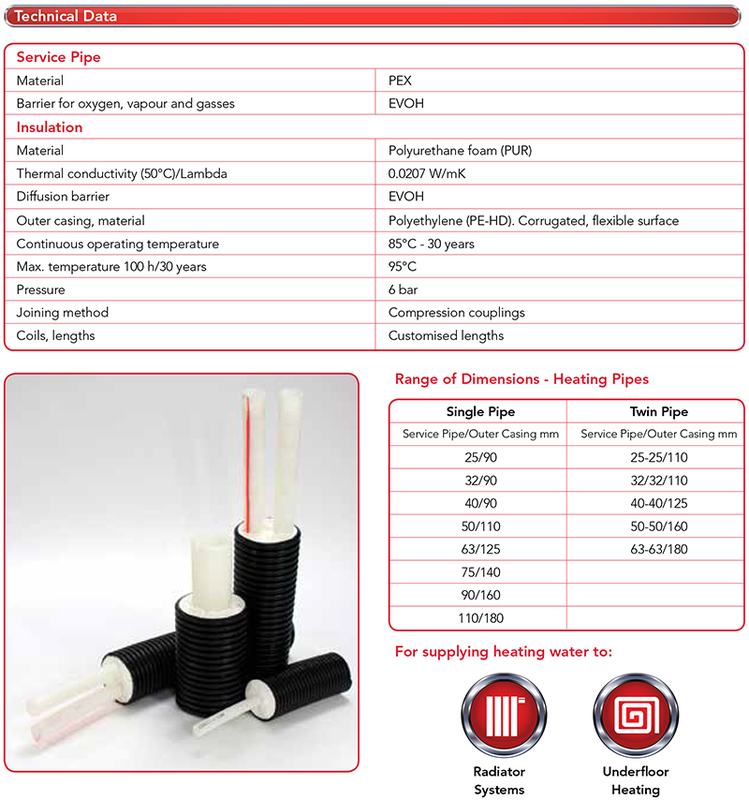 The service pipe in PexFlextra is made of highly flexible polyethylene (PEX), featuring an EVOH membrane that prevents the diffusion of oxygen, steam and gases ensuring the pipe retains its performance throughout the product’s lifespan. The service pipe is enclosed by soft polyurethane foam insulation and protected by a corrugated outer casing. PexFlextra is the recommended solution for piping systems with maximum continuous operating temperatures and pressures of 85oC and 6 bar. 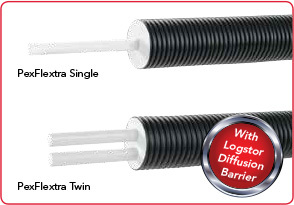 PexFlextra is available in single and twin pipe conﬁguration and is suitable for heating applications.